These are people that have decided they aren't cut-out for blogging and will not start a blog aa a result. These are people that have interest in blogging as a business or a hobby and are motivated to develop, maintain and sustain a great blog. They are willing to put-in the hard work and long hours required to make this happen. These people appreciate and understand that blogging has great value and can have a positive impact on their lives but are not ready to put-in the required effort and resources to build a successful blog. This post is directed at this category of people in particular. Of course, other people should enjoy reading it as well. The challenge for lazy bloggers is the daunting nature of building and at least sustaining a great blog. You have to generate and distribute great content, analyse your traffic to build on what works for you, retain old readers and gain new ones. These activities take hard work for you to see positive results and the lazy blogger isn't cut-out for them. The irony is that the lazy blogger does want to achieve some degree of success too. 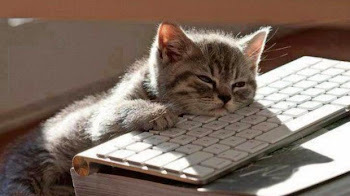 My advice to you lazy blogger is to focus your blogging efforts on one important thing to 'leverage' on your laziness. It is for you to focus on great content because the Internet is structured in such a way that the big search engines like Google, Bing and Yahoo crawl it looking for great content that people are searching for. If you can provide it, you'll get a lot of traffic from search engines. So, write great content for your blogging niche frequently or pay someone to write for you and see how much of a difference this will make to your blog. Let me use this blog as an example, by far, the most popular post here is Top 5 Websites to Advertise on in Nigeria, it has a lot of useful information for people that want to advertise online in Nigeria and that ensures that it outranks my other posts. The challenge for me and for you is to replicate such content on a regular basis. If this is done, traffic will increase greatly. 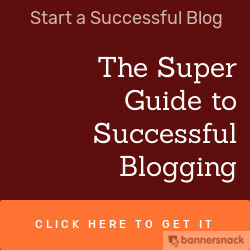 Increased traffic motivates most bloggers to do more to improve their blog. Perhaps, it will help you change from a lazy to dedicated blogger.